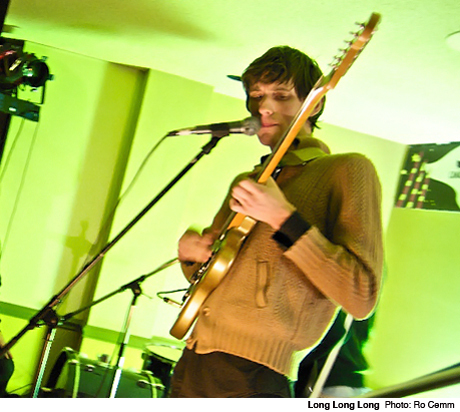 Halifaxs Long Long Long are a band intent on perfecting the fine art of falling apart. Paper-thin guitar lines merge into mathy passages before the songs seem to career to an end, discordant guitars chiming and feeding back to the brink of collapse. Seemingly constantly in motion, and with a snare ringing out as true as the Halifax noonday gun, drummer Rob Shedden is the central force that pulls the band back from the brink, making use of every part of his stripped-down kit. The band (and their fan club who sing along to every word, and most guitar lines) have an infectious energy and their lo-fi party is the perfect way to kick off the festival. It is called the Halifax Pop Explosion after all.